I am writing this awesome tutorial in credit to BlackBerry Central. The BlackBerry Os Upgrade is available to all BlackBerry 10 users all around the globe­. 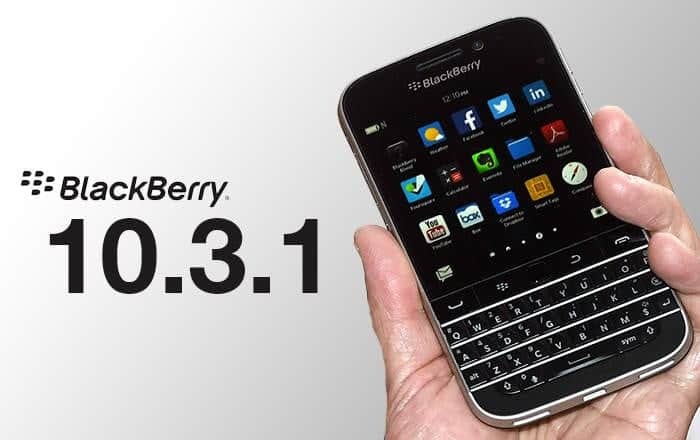 The BlackBerry Os 10.3.1 enhance some basic features which are absent in the Os 10. BlackBerry has officially announced the launch of the much anticipated OS 10.3.1 today, and as we all know, an over the air (OTA) upgrade availability is subject to carrier certification and approval. So what if you’re among the unlucky ones and your carrier hasn’t released this update as of yet? Before we begin, please be advised this is a guideline only. You must exercise caution while performing all actions. Always backup of your device first. TechLector will not be responsible to any failure/damage that may be caused to your device during the process. Download and install SACHESI for Windows or Mac (current version is v2.0.0 RC). Search for available OS updates by other carriers. You can do that by entering the country and carrier codes under “Whitelist Settings” section. Press the Search button. At this point you should see the available OS version at the right hand side of the screen. If you see the correct version, continue to the next step. Otherwise, verify the country/carrier codes match the above image. Select Download. Now the OS will be downloaded to your computer. Once the download completes, navigate to the Install tab. Select Install Folder. In the file explorer window, navigate to the folder where you saved the downloaded and press Select Folder. The installation process will be carried out now. Once the installation is done, your device will restart. 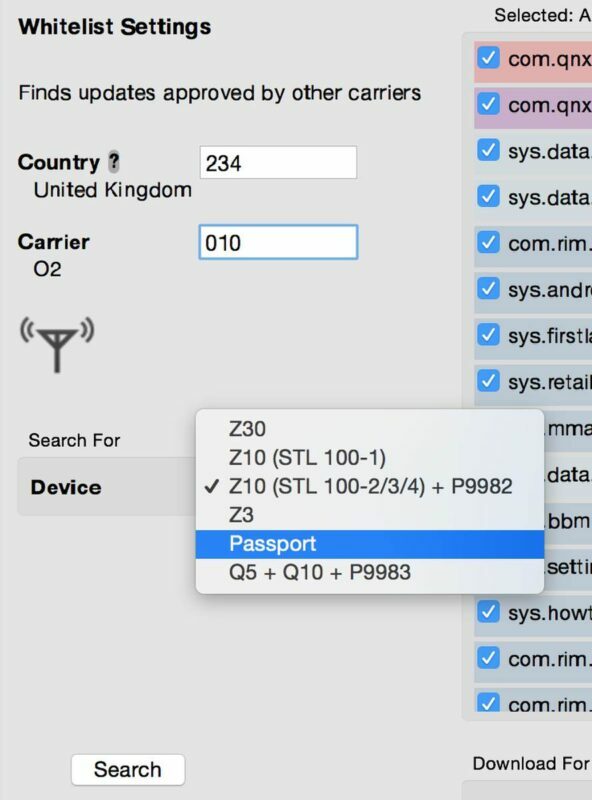 As BlackBerry 10 builds are global versions of your model, there is no problem to put codes of other countries. The only condition is that you have to make sure that the device type and variant are identical to yours exactly. Run into trouble? Drop us a comment below so we can try and help!